Does the PM have a world view? Indian Prime Ministry Mr.Narendra Modi, in the first few months in office did do many unusual things. He went on a sort of an international odyssey, India’s neighbours, Bhutan, Nepal and then to USA and Australia and Fiji and also went to some notable summits, in Brazil where he met world leaders. In turn, he received many world leaders, notably, Russian President Vladimir Putin and now of course, famously, US President Barack Obama thought right to pay an extended visit and stay in India for full three days and participated at the Republic Day parade and interacted with a number of engagements. In the meanwhile we have had many strategic talks and actions, civil nuclear agreement was taken forward and many high pitch development agenda was announced. One of the many decisions taken by the Modi regime is the reorganisation of the bureaucratic reshuffles, the very senior secretaries, why even the DRDO chief were all sacked, yes sacked is the right word. The foreign secretary was sacked and replaced by one who was about to retire. This rattles a success of others in the queue. There is a continuous talk and debate over the foreign secretary replacement. So too other bureaucratic transfers and reshuffles. If you know New Delhi, then, you must be knowing how this rattles the very bureaucratic hierarchies. There is now a palpable uncomfortable feeling and dissatisfaction in their ranks. Now, after the Obama visit and the many grand style talks of India and the US becoming natural global allies where do we go from here? PM Modi displayed a new sense of enthusiasm and an unusual sense of confidence verging on bravado as he went about is way in interacting with the US President. We should also make mention of the fact the US President also proved a match to the Indian PM’s overt display of friendship and even some chumminess in his easy ways and display of demonstrable overt-friendliness. The final cut was his calling the US President by his first name, Barack! The demeanor of the PM throughout was one of a new show of confidence about himself. How this played out finally ,one can speculate. Of course, the final shot was called by the US President himself in his Siri Fort address to the Indian people. There was constant reference to the on-going religious conversion over-tones throughout the US President’s stay in the capital. Now, some ask whether the Obama ‘parting shot ‘queered the pitch for the BJP in the immediate outcome for the BJP in the Delhi elections? So asked some media reports. Now, even after the US President went back home he was referring to the religious violence’s in India, he came back to his theme, with Dalai Lama by his side and also soon after came the New York Times editorial which questioned Mr.Modi’s silence over the religious conversions. The NYT editorial went over the number of such persons affected by the acts of the many fringe elements of the ruling party. Now, the more serious questions are about India’s foreign policy priorities for the Modi government. With so tight a number of Indian diplomats, how Mr.Modi wants to take India in the scheme of things? Will India exert itself to bring upon world affairs, given India’s size, the numbers and geo-strategic positioning? And finally, how a country such as India’s position, given its past, present and the future can make itself listened to, respected and advances the causes of world peace and much else? This is the crucial question or questions one must be asking. Before we proceed further we like to recall our days at Oxford where we read British Parliamentary History, as a special course where we used to read often about the great international diplomats of the 18th, 19th and even the early 20th century world. Names like British Foreign Secretaries, Edward Grey, Palmerstan, even Lyod George were our heroes at the relevant periods. In Europe names like Matternich, Chautebirand spelt much glamour and style. Indians still have to learn diplomacy from such illustrious names. 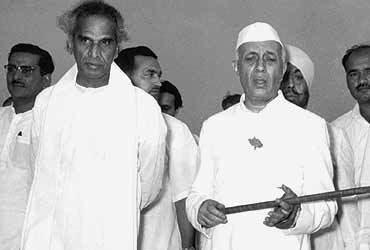 Why, even in Nehru’s time we used to follow what a V.K.Krishna Menon or Sardar K.M.Panikkar did on their foreign assignments. The point is, alas, nowadays we don’t hear any such high profile names in our foreign assignments. Instead it is now one of internal feuds or a Khobregade affair that showed the Indian diplomacy not worth taking seriously. Now, what would Modi be doing to take India into the world’s diplomatic high table? So far all these last few months we have seen Modi as the PM in what he did in the domestic sphere. It is now clear he hasn’t much in-depth serious thought process and all he has seems to be a simplistic approach to make in India, Clean India and he simply fails to mention black money, corruption and criminality. May be we need to give the PM time. In foreign policy issues too he seems to be relying on a few senior, retired officials and it is they who seem to be calling the shots. Be it China issues and other such highly sensitive issues. As for the nuclear deal it would become more clearer, if at all, only after some prolonged diplomatic and other means. The point here is that India must be seen by the outside world, be they neighbours or friendly countries or countries in troubled spots in the Middle East or even in Russia over the Ukraine war. How will India exert itself in these highly potential world spots? Already the US is engaged with its EU partners over Ukraine war. Over the Syria, Jordan and its neighbourhood how would India approach the issues? Apart from wars and peace, how would India contribute for quality solutions to various international issues like UN reforms, UN human rights commision, various social and health, education and cultural exchanges etc? Not the least nuclear disarmaments? Mr.Modi must send out talented Indians as diplomats. Not opt for faceless bureaucrats, as his predecessor did! India must spell out its core national beliefs systems? Its own vision of the world? Is India committed to transparent governance, rule of law, democracy norms, electoral funding, electoral law reforms, fighting corruption, why, even crony capitalism? The latest issue of the FT Weekend carried a review page on three new books on Russia. (7, 8 February 2015) We are sure our foreign ministry mandarins must have read it. We are also sure the way Russian democracy works, or made to work, must have given the Indian elite the very same troubled questions about India too! So, we have to talk and preach and practice our democratic polity without all the blemishes noted in the Russian system. Our own democracy claims must match with our practices. Rule of law, judiciary, media freedom, why even, let us say, as the review calls, ‘the capitalist democracy ‘must be worked strictly within the four corners of the rule of law. How Mr.Modi will work his capitalist democracy? Or, democratic capitalism? Or, as one puts the Russian model, in India too, we might even expect for a ‘post-modern dictatorship ‘with losts of entertainment and distractions! I put some troubling questions in Delhi to some of BJP leaders and intellectuals. May be Mr.Modi’s days are yet to come and confront him. As the book tile says: ‘Nothing is true. Everything is possible’! What will be his intellectual and moral calibre? We have to wait, it seems. So, India has to learn and practice before we can preach to other nations. These are some of the thoughts for the readers, Indian elite, the middle classes, also for the India’s ruling crowd.